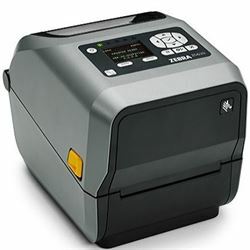 Prime Interway - Impressora ZD620, 203 dpi, boca de 4 pol., Pell, USB e USB host, BTLE, Serial, Ethernet, 8 p/s, EZPL. IMPRESSORA ZEBRA, MODELO ZD620. RESOLUCAO DE 203 DPI, LARGURA DE IMPRESSAO DE 104MM, VELOCIDADE DE 8 POLEGADAS POR SEGUNDO, MEMORIA DE 5121MB SDRAM E 512MB FLASH, DESCASCADOR,INTERFACES USB E USB HOST, ETHERNET, SERIAL, BTLE, TRANSFERENCIA TERMICA. ZD62042-T1AF00EZImpressora ZD620, 203 dpi, boca de 4 pol., Pell, USB e USB host, BTLE, Serial, Ethernet, 8 p/s, EZPL.